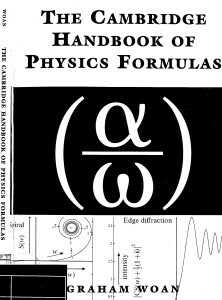 This compact, portable reference contains more than 2,000 of the most useful formulas and equations found in undergraduate physics courses, covering mathematics, dynamics and mechanics, quantum physics, thermodynamics, solid state physics, electromagnetism, optics and astrophysics. An extensive index allows the required formulas to be located swiftly and simply, and an unique tabular format crisply identifies all the variables involved. All students and professionals in physics, applied mathematics, engineering and other physical sciences will want to have this essential reference book within easy reach.